EXTON, Pa., April 13, 2016 – AGC Chemicals Americas Inc. will feature its ultra heat-resistant peroxide-curable perfluoroelastomers (FFKMs) at the Offshore Technology Conference May 2‒5 in Houston, Texas, at Booth 1380. 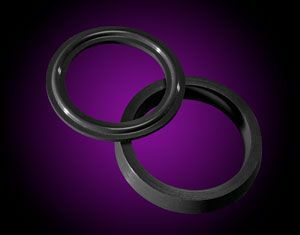 AGC developed AFLAS® PM-1100 and PM-3000 for O-rings, gaskets, oilfield seals, packings and other equipment parts to better withstand the extreme heat generated in oil & gas exploration and production. AFLAS PM-1100 imparts a continuous service temperature at 230 °C, with peak excursion exposure to 250 °C. AFLAS PM-3000 imparts a continuous service temperature at 250 °C, with peak excursion exposure to 270 °C. The chemical structure of AFLAS PM-1100 and PM- 3000 is derived from tetrafluoroethylene and perfluoroalkyl vinyl ether, which offers superior resistance to chemicals, oils and solvents. Components formulated with AFLAS PM-1100 and PM-3000 last longer in critical applications, which reduces downtime and improves production. In addition, they can be compounded to be highly resistant to rapid gas decompression. AGC also will showcase its line of fluoropolymer compounds and resins that make offshore oil & gas equipment components more durable, prevent downtime and enhance performance. Fluon ETFE melt processable compounds are reinforced with proprietary conductive, strengthening and reinforcing fillers to better tolerate extreme temperatures, pressures, harsh chemicals and volatile weather conditions. Fluon ETFE is a melt processable copolymer of tetrafluoroethylene and ethylene and is ideal for wire and cable coatings; semiconductor and electronic components; valves, fittings and pump housings; and tubing and pipe.Fluon ETFE is compounded with fillers that dissipate the electrical charges that accumulate within the cable construction during operation. Fluon ETFE also optimizes flexibility, so there is less cracking due to spooling and other motions of the cable. Fluon Filled PTFE Compounds provide advantages over traditional PTFE resins, including deformation and creep resistance, thermal conductivity and wear performance. These custom-engineered compounds improve the performance properties of bearings, seals and gaskets when used in environments with extreme heat and pressure. LUMIFLON fluoroethylene vinyl ether (FEVE) resins impart superior corrosion resistance when used in oilrigs, tanks and vessels. LUMIFLON-based coatings, sealants and paints do not degrade from UV light, wind, rain or corrosion. LUMIFLON-based coatings can be formulated to last 30 years or more, depending on the substrate and environment and provide significant lifecycle cost advantages compared to standard polyurethane and polysiloxane coatings. The Offshore Technology Conference (OTC) is where energy professionals meet to exchange ideas and opinions to advance scientific and technical knowledge for offshore resources and environmental matters. Founded in 1969, OTC’s flagship conference is held annually at NRG Park (formerly Reliant Park) in Houston. OTC has expanded technically and globally with the Arctic Technology Conference, OTC Brasil, OTC Asia and d5. 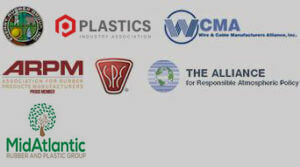 OTC is sponsored by 13 industry organizations and societies that work cooperatively to develop the technical program. OTC2016 will be held May 2-5. For more information visit http://2016.otcnet.org/.